Home News Gov. Willie Obiano in a 90 Tweet to Anambra people suspends the collection of Hawkers Permit on all streets in the state and more. Gov. 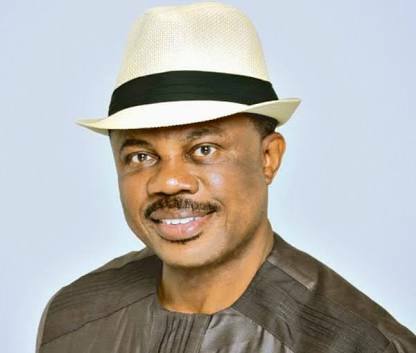 Willie Obiano in a 90 Tweet to Anambra people suspends the collection of Hawkers Permit on all streets in the state and more. In accountability to what his administration has done in the past two years through ASBA, Anambra Small Business Agency, Governor of Anambra State, Willie Obiano, gives a 90 tweet on Sunday, 2nd of October,2016. Among these are the suspension for sale of consolidated emblems in Anambra State, collection of Hawkers Permit on all streets in the state, suspension of Wheelbarrow Tax collection all markets in the state and the abolish of unapproved levies on imposed students in public primary and secondary schools. 3. I consider it my duty as your Governor to distil the message of the economic situation of the country down to the grassroots. 4. We have come up with a Stimulus Package that will ease the pain of the recession and help our dear @TweetANSG bounce back to prosperity. 6. 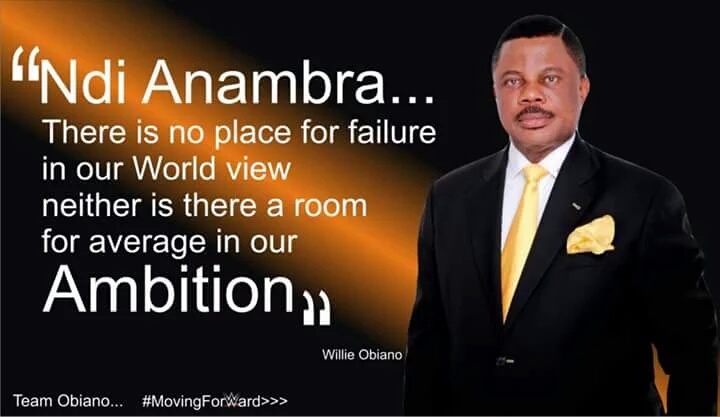 Ndi Anambra, I wish to assure you that you are not alone! My brothers and sisters, I feel your pain! 7. Biko, unu ebezina maka na agu nwelu nchekwube anaghi egbu. Anyi nwelu olile anya! Oga adikwanu nma! 8. Our country’s painful journey into the current recession is fairly known to us. 9. The events that triggered this decline into recession are very well documented in the public domain. 17. I believe that these will go a long way to cushioning the impact of the recession on households in the state. 22. Next is the Special Intervention Programme for Small and Medium Enterprises, MSMEs and Large Enterprises. 23. Ndi Anambra, this sector of the economy accounts for over 800,000 jobs in Anambra State today. 27. This is what my administration has done in the past two years through ASBA, Anambra Small Business Agency. 28. ASBA is a very important institution that we created to serve as a catalyst to our domestic economy. 29. So far, ASBA has effectively distributed the sum of N1.5bn as start-up capital to many SMEs and MSMEs in Anambra State. 31. Anambra Small Business Agency, ASBA was set up with credible manpower and a strategic focus on the productive sectors. 32. Although it may not be known to many people, the truth is that the famous Anambra Rice owes its growth to our intervention through ASBA. 33. So many other manufacturers have also benefitted from this ASBA initiative. A. We shall provide ASBA with a minimum of N3 billion to lend to SMEs and MSMEs at 9% interest rate across key sectors. We shall fast-track the roll-out of the CBN Anchor Borrowers Program in our state to support SME/MSMEs in the agro sector. 45. Next stimulus initiative is the Social Intervention Programme for Low Income Households & the most vulnerable populations of the state. 50. We have engaged 300 road sweepers to keep our cities clean and 250 youths to rid our roads of potholes in our zero pothole programme. 68. Experience has shown that investing in infrastructure is one of the most effective ways of breathing life into an economy in recession. 69. It has a direct multiplier effect on job creation and reduces the level of hopelessness and desperation in many households. 79. This massive construction will be done across the State once the rains stop. We shall leverage devt partnerships and Federal Government funding for intervention in education and healthcare infrastructure. 83. Ndi Anambra, we have carefully thought through these projects and set aside funds for these initiatives. 84. I believe that these initiatives will stimulate economic activity across all nooks and crannies of the state. 85. In conclusion, Umunnem, it is important for us to realise that Nigeria’s economy is on the crossroads. 86. We must move quickly and come together to pull ourselves back from the brinks before it is too late. 89. Ndi Anambra we've the manpower, the material resources & the willpower to turn the looming despair & desperation to hope and prosperity. 90. Umunnem, Ndigbo si na onye kwe chi ya ekwelu. 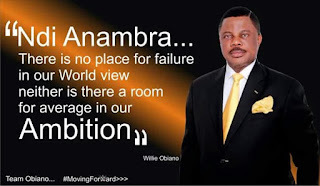 Anyi ekwelugo na Anambra ga adi nma! First seen on Gbetu Tv.